This fall I have been privileged to present a number of my clinics at a couple of model railroad conventions. 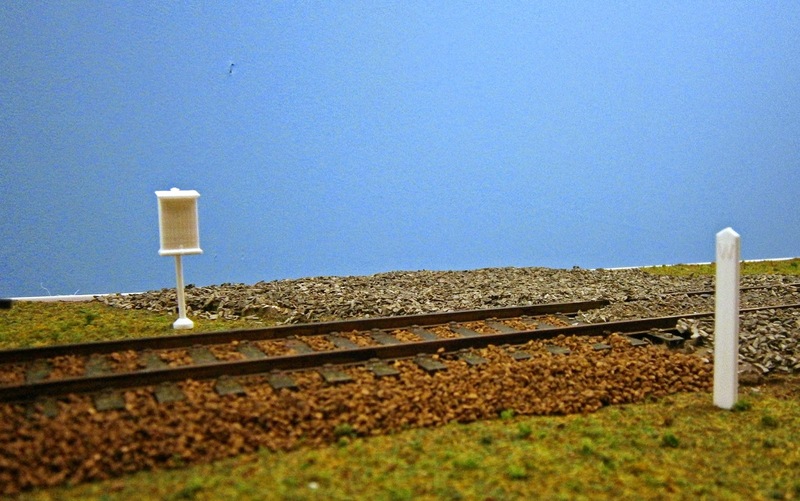 On Sept. 19 & 20 I was at the O Scale National in Indianapolis and I presented three clinics: 3D Printing for Model Railroaders; Microcontrollers for Model Railroaders and Photo Backdrops Made Easy. The 3D Printing clinic was SRO and I gave an encore presentation on the following day. The hotlinks embedded above will take you to copies of the slides for each clinic. Here are pictures of the diorama that I built for the 3D printing clinic. 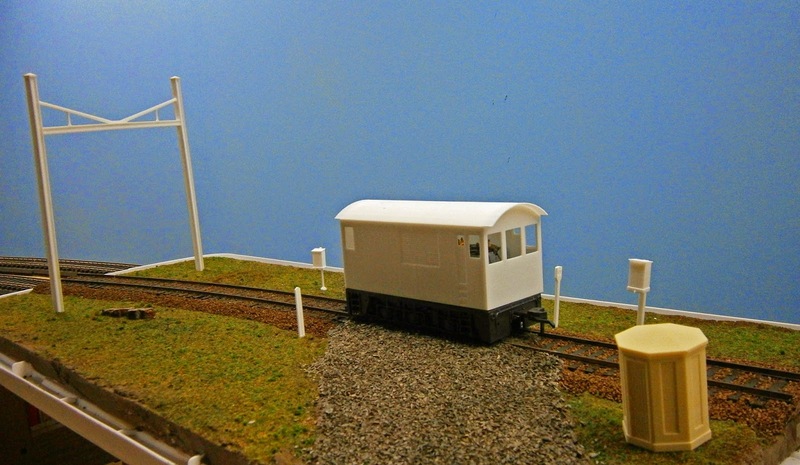 Everything that you see in white on the diorama is a 3D print; in O scale of course. The concrete telephone booth is a resin casting from a 3D printed master to illustrate the use of 3D prints as casting masters. 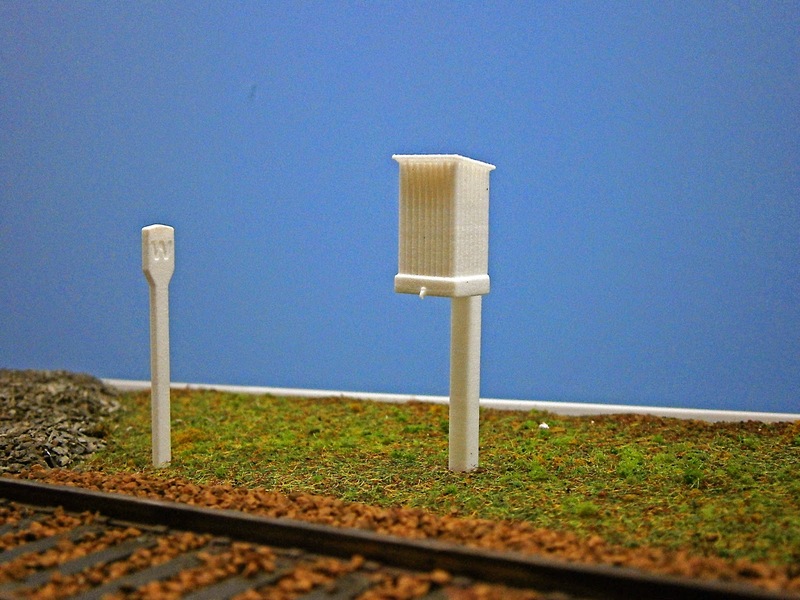 You should be able to spot B&O and WM whistle posts, B&O and PRR telephone boxes; a B&O dwarf CPL signal; a PRR catenary post. 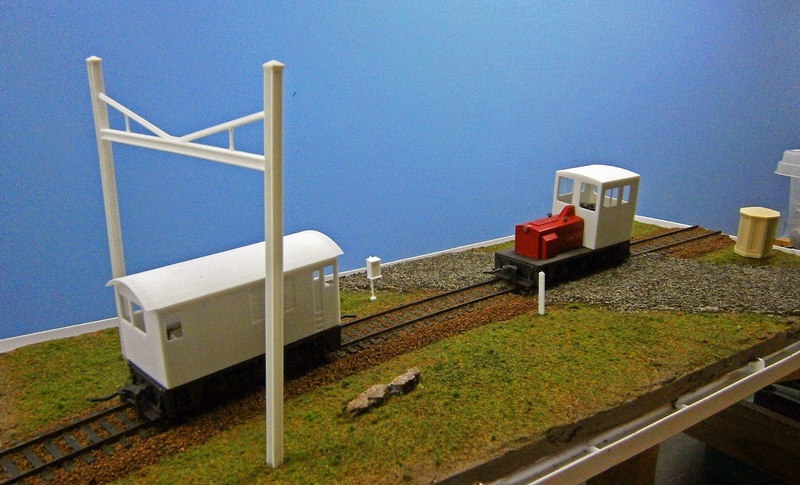 The 2 critter bodies fit over an O scale Atlas switcher mechanism from the 1970’s that’s still readily available. 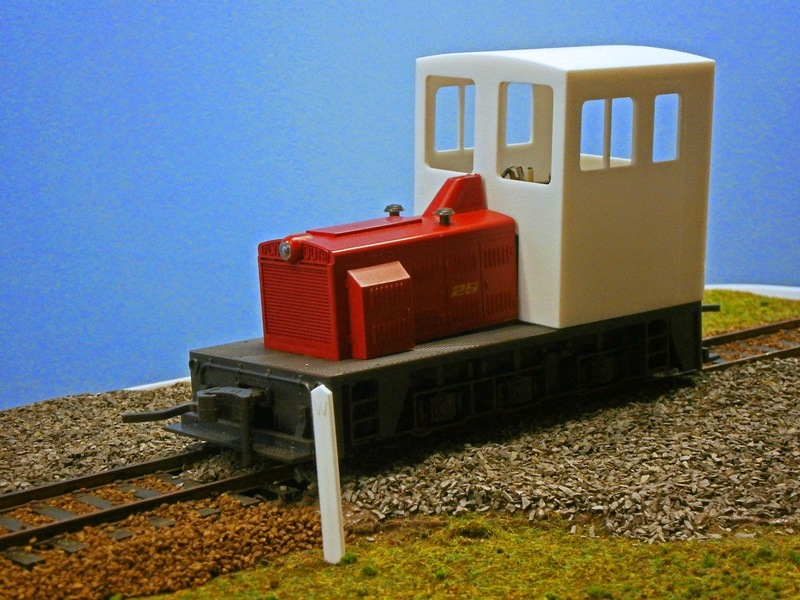 The cab-only print turns the switcher into an Fn2 critter and the full body print is a freelance design that could be a diesel or it could be electric with the addition of a pantograph or a trolley pole. I also had various 3D printed items that I passed around at the clinic. The Microcontrollers for Model Railroading clinic is an expansion of the LaunchPad for Model Railroading clinic that I gave last year. The new clinic includes microcontroller products from a number of additional manufacturers. The number of microcontroller products has exploded in the last couple of years with different manufacturers offering a bewildering array of features on their products. The clinic provides a quick overview of some of them. I presented 2 clinics on Oct. 19 at the MER NMRA regional convention in Hagerstown, MD. 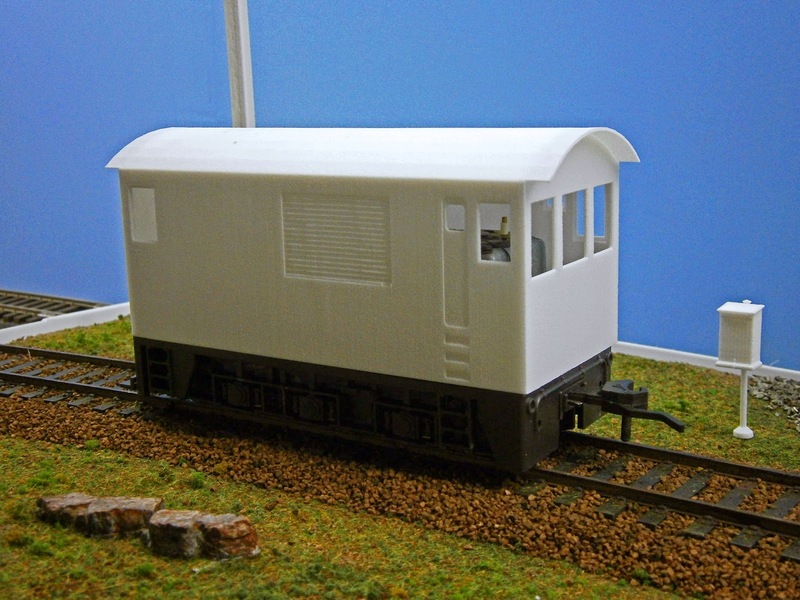 3D Printing for Model Railroaders was again SRO. 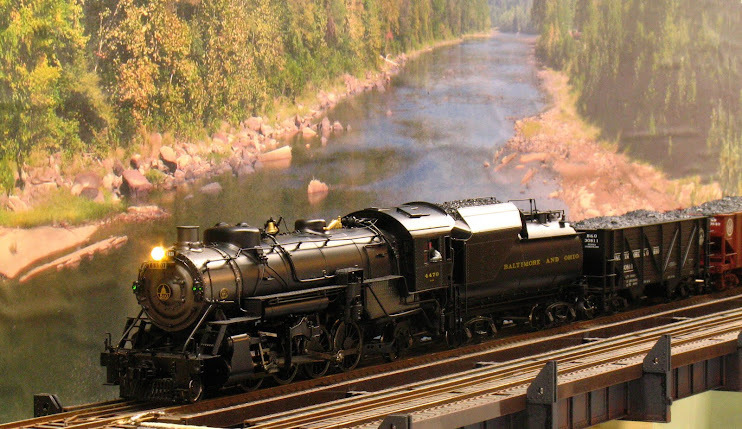 The other clinic was Photo Backdrops, which attracted some non-model railroader spouses. At all of my clinics I distributed a disk containing all 3 clinics, my 2 videos on Photo Backdrops plus a sample panoramic photo that attendees could practice on. You can find my videos here and here. I had exactly enough disks for all of the attendees. However, if you want a disk, I will burn one for you if you send me a self-addressed stamped envelope to mail the disk back to you. Next year I’m thinking of adding a fourth clinic – Fun With LEDs. This will be an expansion of the Fun With LEDs entries on this blog of a couple of years back with a working diorama showcasing uses for LEDs. So if you would like for me to present at your convention in 2015, let me know and we’ll see if we can work it out.